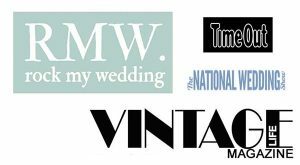 London, Essex, Surrey, Sussex, Brighton, Oxford, Cardiff, Cornwall, York & Nationwide. We will also research hen party venues for you where ever you are. 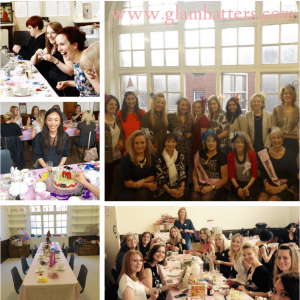 We have hosted a lot of Glam Hatters’ Hen Parties so the chances are that we have already hosted one in your area and can help you with all your requirements. Our Exmouth Market venue is half way between Angel tube and Farringdon tube and is a 10 minute walk from either station. Surrounded by individual cafes and boutiques, it’s well worth arriving early and having a little mooch around this lovely part of London before your hen party workshop starts. We have 2 different sized rooms and both are gorgeous. Our venue is very close to Kentish Town tube station (zone 2). Offering handy access to North London. 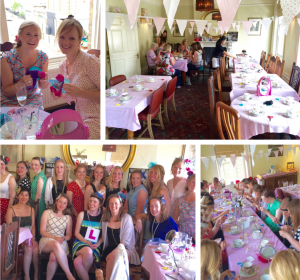 This lovely venue is perfect for a hen party. The Upstairs Room at The Pineapple Pub is situated in a beautiful listed building. The Glam Hatters’ polkadot table cloths, vintage china and bunting give it a super cute, tea room feel. 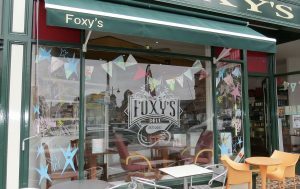 Foxy’s Deli is opposite Penarth Train Station, which is a 12 minute train ride from Cardiff Central. It has a large area at the back which is perfect for a Glam Hatters’ fascinator, flower crown or mermaid crown making workshop. The Foxy’s afternoon tea is absolutely delicious and also very generous – for sure you will be taking some away with you! Contact Janie by email or on the form below to book your Cardiff Hen Party. 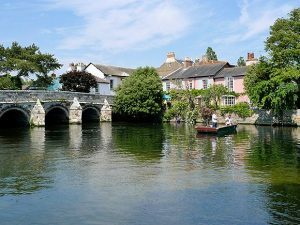 Splinters Restaurant in Christchurch is a lovely, cosy venue close to the river. It has an upstairs room called The Blue Room where we hold Glam Hatters’ workshops. 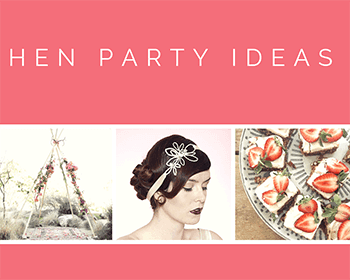 Perfect for a relaxed hen party afternoon. They provide a gorgeous 2 course lunch at £30pp, making the venue hire free. 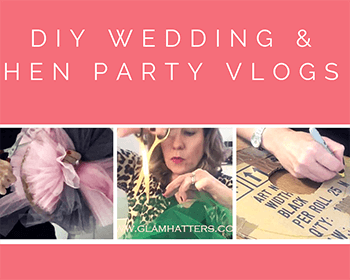 Add a Glam Hatters’ workshop and mix for a bubbly afternoon! The Old School House on Church Hill in Lichfield is a fantastic venue for a crafty hen do. They have a lovely private room downstairs which hold up to 20 hens easily. Book in with them for Afternoon Tea at £17.95 and they will let you have the room for 4 hours. that gives you an hour for afternoon tea followed by either a one and a half or two and a half hour workshop with Glam Hatters. 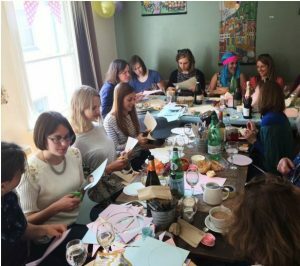 The Organic Deli in Oxford is a fantastic cafe and the perfect venue for a vintage hen party workshop. We use their upstairs room (28 steps up!!) which comfortably sits 18 hens. They provide a glorious afternoon tea using all organic and free range produce. You can even bring your own bubbly which they will keep chilled in their fridges. 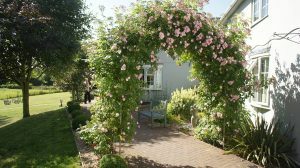 We’ve hosted parties in cottages, bars, homes, village halls, artist’s studios, restaurants, urban serviced apartments and on one occasion in a field! 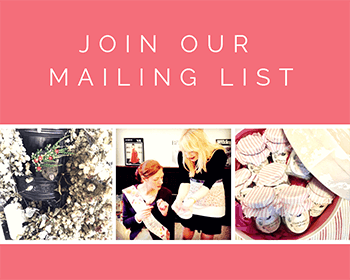 We’ve been doing this for a while and we come prepared, bringing candy striped table cloths and hat boxes full to bursting of gorgeous materials. 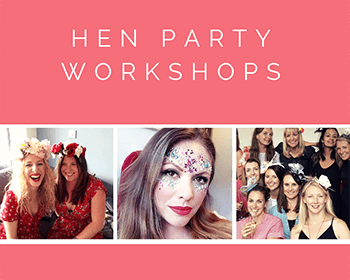 So Far we have hosted hen parties in Avon, Bath, Bedfordshire, Berkshire, Buckinghamshire, Bristol, Brighton, Cardiff, Cambridge, Chelmsford, Cheshire, Chichester, Christchurch, Cornwall, Cumbria, Derbyshire, Durham, Essex, Gloucestershire, Harrogate, Hampshire, Huntingdon, Herefordshire, Hertfordshire, Kent, Lichfield, Nottingham, Oxford, Penarth, Peterborough, Manchester, Middlesex, Newcastle, Norfolk, Nottingham, Oxfordshire, Selsey, Shropshire, Somerset, Suffolk, Sussex, & York. 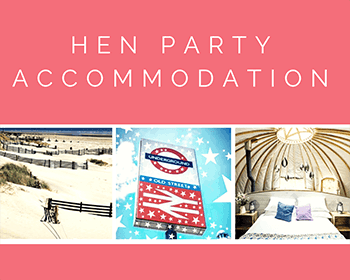 Please feel free to call or email us for a chat about your hen party venue location and requirements and we will do the rest!